Annotation: Each page in Common Core Math Workouts for grade 7 contains two “workouts”--one for skills practice and one for applying those skills to solve a problem. These workouts make great warm-up or assessment exercises. They can be used to set the stage and teach the content covered by the standards. They can also be used to assess what students have learned after the content has been taught. Content is aligned with the Common Core State Standards for Mathematics and includes Geometry, Ratio and Proportional Relationships, The Number System, Expressions and Equations, and Statistics and Probability. 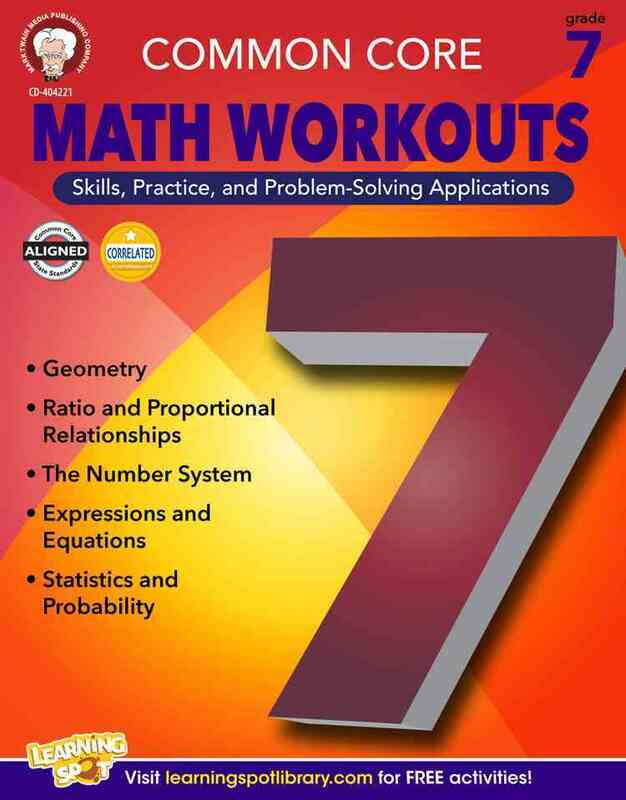 The workbooks in the Common Core Math Workouts series are designed to help teachers and parents meet the challenges set forth by the Common Core State Standards. They are filled with skills practice and problem-solving practice exercises that correspond to each standard. With a little time each day, your students will become better problem solvers and will acquire the skills they need to meet the mathematical expectations for their grade level.